You can't fight zombies unless you're dressed properly. 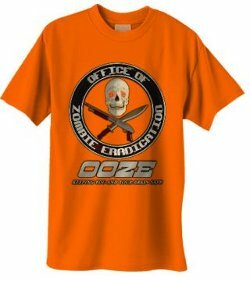 Show those zombie bastards you mean business with a tee from Robotic Gladiator. Click Here for more info. Radioactive debris left over from the 2011 Tohoku earthquake and tsunami will reach the west coast of the N. American continent soon. This is expected to result in a zombie outbreak of record proportions. Read more here. 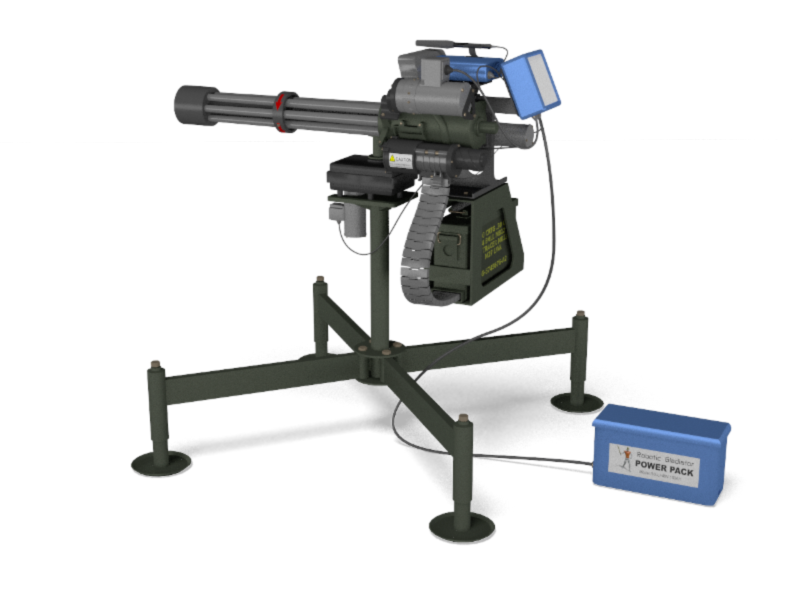 Safety Warning: We would like to remind those who have received pre-production prototypes of the Centurion home defense system that mixing beer (or any alcoholic beverage) with miniguns is not recommended and can be extremely dangerous. An incident has been posted on YouTube which illustrates this point. Robotic Gladiator would like to remind you that the gun must be unloaded when performing the self-test function to prevent the gun from accidently firing. An upgrade to the gun and firmware will be released in the near future to detect and prevent this sort of accident from occuring in the future. Reliable home protection against Class I and Class II zombie attacks.